This abstract horse statue combines traditional art with modern style. 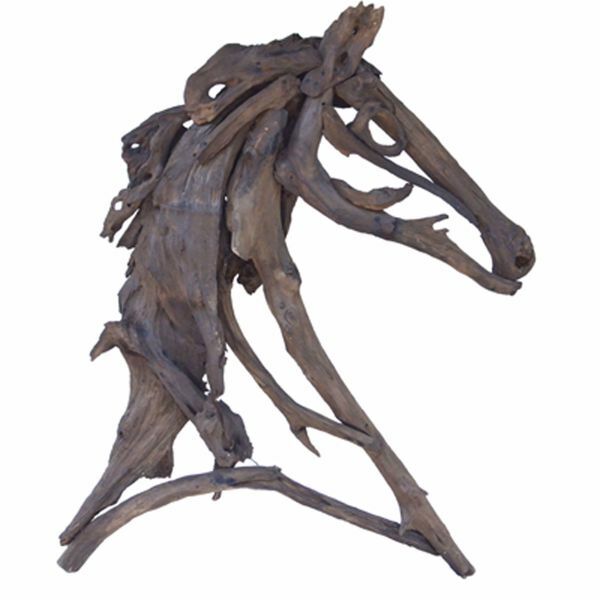 Crafted from natural teak wood with a weathered finish and unpredictable twists and turn, this distinctive piece is sure to draw conversation from fellow equine aficionados. This piece stands at 39" in height to provide a strong focal point while remaining easy to display on a mantle, shelf, or table. 39"H x 5"D x 32"W.